We all know garbage when we see it — or do we? In the case of Service Objects’ email validation, we have our own definition of garbage and we actively seek it out. 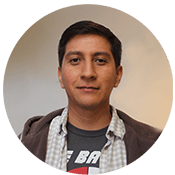 We want to find garbage in email and warn you about it so that you can make the most informed decision possible about accepting or rejecting it. How do we define garbage? A thing that is considered worthless or meaningless: a store full of overpriced garbage. Computing unwanted data in a computer’s memory. Garbage-like keyboard strokes might include pure gibberish or typos gone to the extreme. 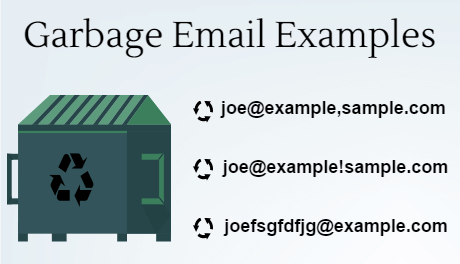 Garbage-like characters could include symbols and characters not typically included in email addresses. For example, hyphens are commonly used in URLs. Thus, an email address with a hyphenated domain, such as joe@example-sample.com wouldn’t necessarily qualify as garbage. On the other hand, punctuation marks like exclamation points and commas are not used in URLs. Thus, an email address such as joe@example,sample.com or joe@example!sample.com would probably be considered garbage. There’s a lot going on here behind the scenes, though. Many bots will use valid email addresses, such as gmail.com addresses, with randomly generated email addresses. Though theoretically, they could be real, most often they look like complete gibberish or garbage. Our DOTS Email Validation service checks for known names and dictionary words, various keystroke patterns, vowel and consonant patterns, and special characters that are syntactically valid but often rejected by most mail servers. Garbage detection is important. Not only is sending messages to bogus email accounts a waste of time, but it could also get you flagged by ISPs. If you have a lot of garbage emails in your database, you’ll also have a high bounce rate. ISPs may think you’re a spammer when you’re really a victim of bots that randomly generate email addresses on web forms. Just because an email may be considered deliverable, it does not mean it is good. That’s why we run multiple integrity checks, including garbage email checks, as part of our email validation service. If an email is flagged as garbage, then it means you probably shouldn’t accept it.